Now and again, a creative community comes together in response to an idea, a wild notion born almost collectively in the minds of young artists, performers, musicians, dancers and actors. Sometimes, the vision comes as a reaction to a cultural zeitgeist constructed around a popular media manifestation. Veronica Vásquez, a writer and filmmaker is amazed by the response her effort to simultaneously honor and spoof a hit television show has generated. 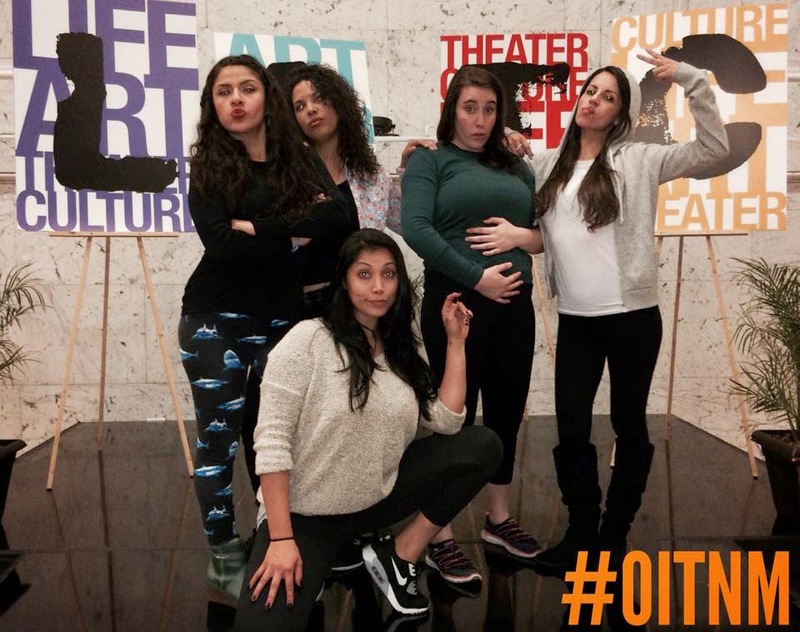 A long-time fan of the cult-favorite series Orange is the New Black, Vásquez, 28, could never have predicted the avalanche of support for her tongue-in-cheek tribute, an “unauthorized parody” of the show she has followed since its debut on Netflix as part of the network’s ground-breaking slate of original programming. As the writer and co-producer of a sold out, one-night-only experiment called Orange is the New Musical, she could not have imagined she would be ultimately responsible for the bottled lightning her imagination has wrought. In partnership with Bryan Sandlin, an actor, writer and director she met while assistant directing on his independent feature film, Then End of Our Lives, Vásquez is at the helm of what is likely to become the underground hit stage production of the year. At a downtown rehearsal on a stage inside the glamorous and historic Los Angeles Theatre Center on Spring Street between 5th and 6th, she is witness to the embodiment of a project that has become an emblem of possibility. A Highland Park native, Vasquez is the epitome of the new Los Angeles, a multi-cultural mosh pit where being Latina and the child of a well-known marketing expert who has specialized in and successfully mined the Hispanic market for major corporate clients, is merely one small facet of her identity. She cannot be faulted for the occasional need to pinch herself as it all unfolds. “It’s very much a parody of what is happening in the show. We just go there. Our story line does diverge at a certain point because it is musical theater and we want it to be dramatic,” Vásquez adds. The music, which features songs such as “Chocolate & Vanilla Swirl,” a sexually charged reference to an interracial lesbian liaison delivered by the Crazy Eyes character, and “Table for Two,” a hilariously exaggerated take on the Morello character’s obsession with marriage and her ex-boyfriends, are two direct examples of what Vásquez means. 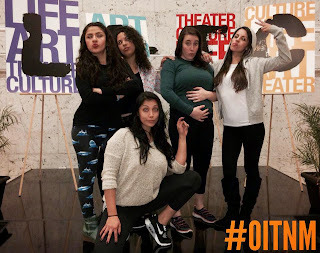 Vásquez admits to having watched every episode of Orange is the New Black four times in preparation for the musical which she hopes will receive an extension or at least a new date at LATC. Bryan Sandlin, her creative partner, is equally thrilled by the unexpected overwhelmingly positive response. A winner of the “Highest Standard” award at the All Things Hollywood Film Festival for his independent feature—the film which brought him into contact with Vásquez—Sandlin made the move from Toledo, Ohio to LA because he knew his calling. Both Sandlin and Vásquez hope to announce an extension of Orange is the New Musical or at least a second date at LATC when the show opens on May 16th. “We’re hoping we can say it’s back by popular demand,” Vásquez admits. The social media buzz around the musical is unavoidable and portends a future for both Vásquez, the KefiStudio production arm she has formed with Sandlin and everyone involved the production. Bobadilla, who spent time in San Juan Bautista working with the famed Teatro Campesino and in the Bay Area while studying can’t say enough about how thrilled she is to be in the show. “Are you kidding me? It’s an amazing, awesome play. Everyone is great. You’re coming to see it right?” Bobadilla quips. Sitting in the lobby of the Los Angeles Theater Center, Bobadilla and López rush through lunch and hurry to join the multi-cultural, multi-ethnic, cross-pollinated cast for a rehearsal in full swing. Dance moves, vocals and music explode across the stage. Vasquez and her team are hard at work. “All of these people are here because they want to be. We don’t have any money. And we told everyone that during auditions. But we still managed to get all this incredible talent. And it’s just magic,” Vásquez says, her energy echoing the palpable joy hovering around the room.